The makers of Botox have just gotten FDA approval on an eyelash thickening drug called Latisse. The formula promises to lengthen, thicken and darken eyelashes when dabbed daily on the lash line. Users can expect to see results with two - four months use. 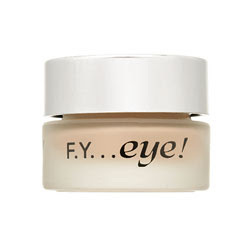 Side effects include itchy eyes, eye redness, a change in skin color, and a potentially permanent darkening of the iris. Available in March by a physician and will set you back about $120.00. If you're seriously lash-challenged, then I guess this would be worth a try. But if you're just looking for some temporary va-va-va-voom for a night out, I think a $5 tube of mascara will do. After what seems like ages, Beauty Junkies Unite reviews a few pieces from JK Jemma Kidd Cosmetics. Target's beauty department is coming on strong! Are you ready for Spring? Roselyn from Makeup Makes Me Happy has the full scoop on all of the upcoming beauty collections from designers like Chanel, Givenchy, Shu Uemura and more for 2009! A must-see! Did the holidays completely stress you out? Beauty Beast explains how one little product from Origins can help you forget all of your worries in no time. Beauty411 shares the details on the frosty new MAC Chill Collection! Viva Woman shows you how to make an easy homemade bath scrub with Epsom salt! 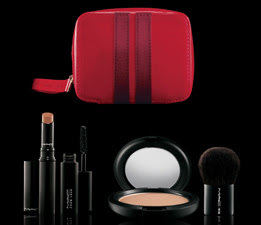 Beauty Anonymous reviews Shiseido's Integrate Holiday 2008 Makeup Palette! Indian Girl shows you 9 Colorful Ways to do the Smokey Eye Look ! eye4style is resolving to save more dough in the New Year, so let's start by spending less on these chic drugstore beauty finds! The Makeup Divas reviews the new ChapStick True Shimmer lip balms. Monique at Beauty Girl Musings reviews the new CoverGirl Outlast Lipstains! Marta Walsh Interviews Nadia Comaneci-by Talking Makeup! marina from makeup loves me tells you what hair tool she's using for new year's eve night! Spoiled Pretty is teaming up with Benefit Cosmetics for a Twilight-inspired giveaway! Five winners will win Benefit's Silky Finish Lipstick in Ms. Behavin, a mulberry glaze used on Edward and the rest of the Cullen family! Kim's oldest sister, Kourtney, got a brand new do. A shorter, fuller do that I am LUVn! Not the typical, long hollywood hair. Because confidence is the most beautiful accessory to wear, enter to win a $500 personal coaching gift certificate from Girl-Woman-Beauty-Brains-Blog (sessions conducted via phone or in person by a Certified Personal and Executive Coach). Lipstick Addict makes a review on elf cosmetics : All Over Face Color in Pink Lemonade and Brightening Eye Color in Noveau Neturals so check it out! Viva Woman reviews THINgloss: a lip gloss that can make you thin! Beauty Junkies Unite has some decadent sweets to share that won't go straight to your hips! Come check out the new Sweet Decadence eye shadow collection from Bare Escentuals. Eyeshadow swatches have never been so sweet! Don't miss the first installment of the Holiday Gift Guide over at Bare Budget Beauty! Monique at Beauty Girl Musings reviews The Body Shop's new line of mineral makeup, Nature's Minerals. Click here for the scoop! Beauty Anonymous takes a look at Paul & Joe Spring 2009 Makeup Collection. Need an amazing and affordable holiday eye palette? Look no further than Purminerals Holiday Eye Palette in Celebrate, Reflect, and Inspire as reviewed by CaliforniaCosmetics. The Latest Holiday Beauty Deals Addicted To Lipstick Has put together a list of all the Holiday beauty deals you can find this week on the web.Click here for all the latest beauty deals and steals to buy. The Makeup Divas reviews and tells you about a romantic and stylish home fragrance line that have made their way into Elton John and P.Diddy's homes. Check it out HERE. Fabulous Over Forty has a Prescriptives Px Protect giveaway. Be sure to sign up for a chance to win! Happy Holidays from Makeup Files! Just in time for the holidays, Trisha is giving her readers a discount on The Complete Eyebrow Guide, 50% off! Take advantage of the half off discount from now until the end of the year. Halle Berry Hair Styles-by Talking Makeup! 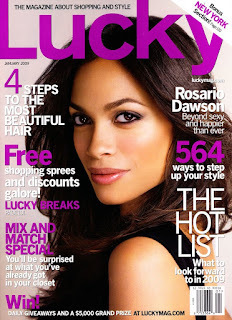 Beauty411 gets her dreamgirl on and shares a Holiday Luxe Gift Guide! Boutique Flair sampled several products from Skin Care Rx. Just what the Dr. ordered for beautiful skin! eye4style is loving festive candles - see her picks for the best of the bunch! The girls over at Beauty in Real Life are having 2 giveaways this week....one with Oral B Pulsonic and another with Phillips Norelco Bodygroom for men. Check out the details here. 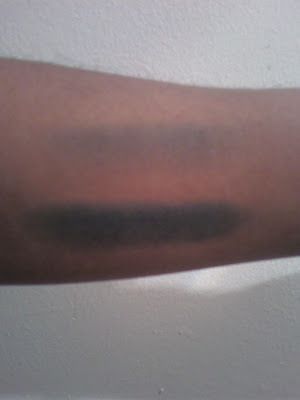 Find Your Best Concealer at The Beauty Blog. The Mineral Makeup Blog reviews Pur Minerals Pressed Mineral Foundation. 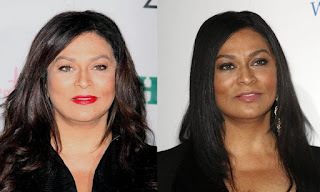 Suzanne at RN Guide to Skin Care answers the burning question, " What is a Peptide? Beauty Blogging Junkie shares some shimmery holiday party/NYE product recshere. MissWhoever You Are dishes on her new fave fragrance, Bond No. 9's Bleecker Street, perfect for the holidays! Spoiled Pretty is really embracing the season of giving. Enter to win a Burt's Bees Overnight Bee-Uty Bag, Mint Medley Gift and Radiance Gift. This week, Spoiled Pretty is also giving away three 1 oz bottles of Look, Vera Wang's latest fragrance! 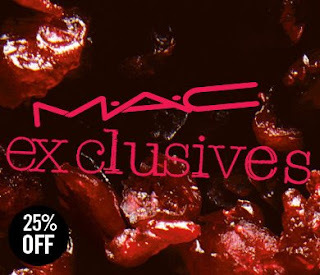 MAC is offering 25% off two of their holiday sets! 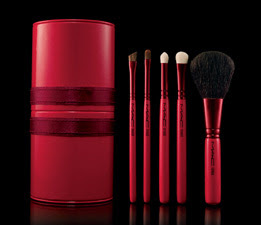 In a red-orange patent brush canister you will find 5 professional brushes with red gloss handles and a black M∙A∙C logo. Brushes are the 129 SE Face Brush, 219 SE Pencil Brush, 239 SE Eye Shading Brush, 266 SE Small Angle Brush and the 316 SE Lip Brush. Get your glam face on for the holidays with a full-sized iridescent powder in Belightful, Slimshine lipcolour in Bare, a mini Zoom Lash Mascara in Zoomblack along with the 181SE Mini Buffer Brush. I found another one! I tend to prefer body sprays over perfumes because they are not as concentrated. For whatever reason, whenever I wear perfume, I always end up sneezing and my eyes become irritated. Victoria's Secret - Pink Fresh & Clean body spritz is a light body spray that smells, dare I say, soooo clean with notes of crisp apple and soft lily. And best of all, the scent lasts all day. The mist also comes in two other scents, Soft & Pure and Fruity & Bright and is available @ Bath & Body Works. Viva Woman found Moroccan rhassoul clay great for facial cleansing! The Jet Set Girls are giving away a White + Warren Cashmere Ombre Scarf worth $195! Indian Girl tells us how to embrace the dark lip trend and is giving away Julie Hewett Lipstick in Sin Noir to help you do just that ! Enter Today ! Monique at Beauty Girl Musings reviews Bioelements Quick Refiner. Find out what she thinks of this liquid-gel exfoliator! Beauty411 shares the details of the lovely Dior Black and White Ball Collection. One of the prettiest holiday collections of the season! Top Blushes by Marta-Talking Makeup! Girl-Woman-Beauty-Brains-Blog weighs in on the best of the best mascaras. Beauty Anonymous shares Chanel Spring 2009 Makeup Collection. Beauty Secrets Revealed shares an Essential Oil Recipe For Healthy And Strong Nails. Makeup Files has you covered this holiday season. Save money with the 5 Beauty Gifts under $15 or, go for broke with the 5 Extravagant Beauty Gifts over $50. That'll help cross some names off your gift list! Beauty Junkies Unite checks out beauty newcomer, on10 Cosmetics and finds something yummy in the process! A little behind on your holiday shopping? eye4style has you covered with this giveway of two $50 gift cards to AZJeans.com! This week Fabulous Over Forty has a beauty gift to fit any Beauty on a Budget. The Makeup Divas are having another fabulous giveaway. So head on over and enter to win the first edition of Beautyfix! Win a pair of KEEN shoes on A Mom in Red High Heels. You'll love the comfort, quality and styles. The Beauty Couch turned up some handy hints for using cream blush inspired by the tarte Mini Cheek Stain Set. Want to smell good without smelling like perfume? Visit The Beauty Blog for a review of philosophy fragrances, which smell clean and wonderful without smelling perfume-y (and don't bother those sensitive to perfumes!). Missed out on the Mineral Makeup Trend? Learn everything you need to know about Mineral Makeup at Mineral Makeup Reviews. Should you add Glycolic Acid to your skin care regimen? 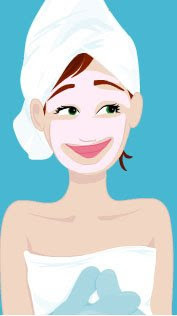 Read The Benefits of Glycolic Acid at RN Guide to Skin Care to help you decide. The girls over at Beauty in Real Life are having a giveaway with Bioelements. Click here to enter. Glossypink chats about the eyeshadow duo that's perfect for anyone! It has been done! MissWhoever You Are has found the one lipgloss that has disappointed her. TotalBeauty.com has a great offer to share! On Monday, December 15th (ONLY! ), you can get FREE OVERNIGHT SHIPPING on any purchase you make on products listed in this Holiday Beauty "It" List. See site for details. Face Candy reviews some great NARS Nail Polishes. The Beauty Alchemist helps her nails to Eve Lom Cuticle Cream. Find out what makeup loves me is getting herself this Christmas! Are you a Twilight fan? Then visit Spoiled Pretty, who has some exclusive beauty scoop (straight from the movie's head makeup artist)...find out how to replicate Robert Pattinson's bloodthirsty, berry-stained lips! 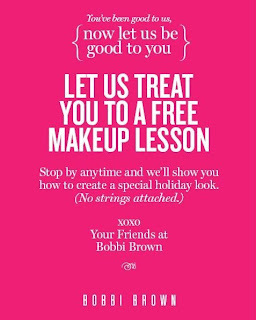 Stop by any Bobbi Brown counter nationwide for a free makeup lesson! Bring this coupon with you or just mention the free lesson and you're on your way! Click here for a counter near you. Bliss is offering a $25 discount off of services at all locations from Chi-town to the NYC. Book your facial, massage, or body work online or print this coupon and bring it with you to your appointment. Hurry, offer ends December 31st! Following in the steps of Eva Mendes, Christy Turlington and Christina Applegate, Khloe Kardashian gets nekkid for PETA's holiday campaign. "I never was against wearing fur because I truly did not know how these animals were tortured and killed in order to have these coats and accessories. I am done with fur forever and I have now found so many amazing faux fur lines that are great alternatives for women who love the look and love animals." I just discovered this new site today. It's called My Pretty Pink Box. 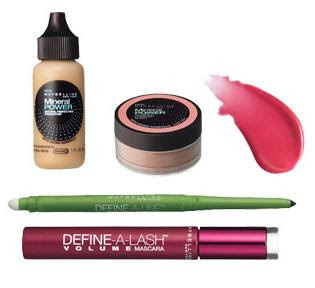 It's a great way to sample different beauty products at a great price! Each box contains sample products from both well known beauty companies and some new up and coming companies too. The only thing is, you have to keep checking back on their website to see when the next box will be available for purchase.
" 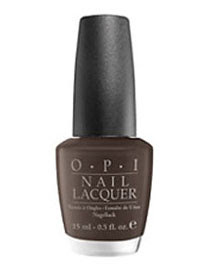 I'm being more thoughtful about my appearance - putting on makeup, doing my hair..."
OPI's You Don't Know Jacques is right on trend with this season's gray look. It's a taupe polish that looks nice on all skin tones. I just rediscovered this this morning...under my bathroom sink...lol. 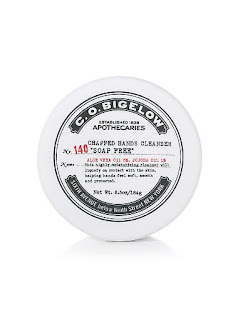 A great cleanser that keeps your hands amazingly soft after washing. Great for the winter. It's a gel-like cleanser, with aloe vera and jojoba oils, that melts in your hands...literally! Just slather some on dry hands and rinse. When you're done, scratch your hands....NO ASH AT ALL! Don't just keep it near your bathroom sink, but your kitchen sink too. If you're like me, you wash your hands 50 times when cooking a meal....why? I dunno, I just do. Also a great gift for people in the heathcare/medical field, they wash their hands all the time! But dammit to hell, she forget to shave! I mean really...Did Jay miss it? Cousin Ang? Where the hell was stylist Ty Hunter? This is strike #2. First the crusty heels, now the hairy pits. C'mon Bey, you are NOT a boy! - Get a bottle of Primrose oil capsules. Poke a little pin prick in the capsules and put it right on the irritated areas. - Tea tree oil has been known to penetrate into the skin's cellular level. Add 1 drop of oil to your favorite day or night cream to help moisturize and smooth skin. Plan on purchasing some smell goods for someone but can't decide on a scent? 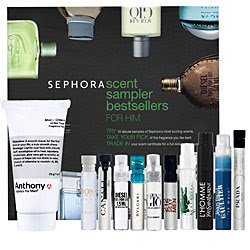 Fret no more, Sephora Brand's Scent Sampler Bestsellers is the perfect fragrance gift when you're not sure which one to choose. And to top it off, a gift voucher comes with each set. 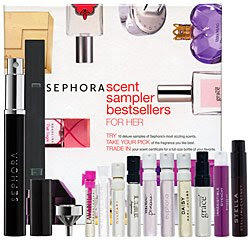 Once they've chosen their fav scent from the 10 samples, bring the voucher to a Sephora store and get a full size bottle...FREE! Both sets available for $50 at Sephora.